Why use a cavity slider? 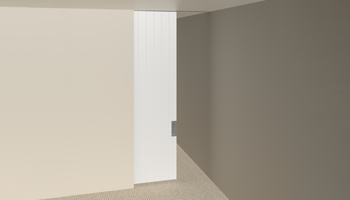 The space saving benefits of cavity sliders have been loved by architects for many years, traditionally used in smaller rooms or where the space demanded by a hinged door is not available. 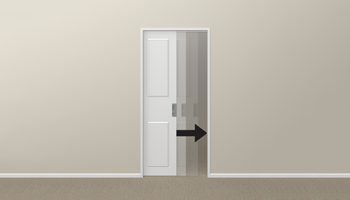 Choosing the right cavity slider for your project may be more important than you think! Most common complaints about cavity sliders are due to inferior quality products or issues with installation, so it is important to choose a high quality product that will last - remember the frame ends up inside your wall! 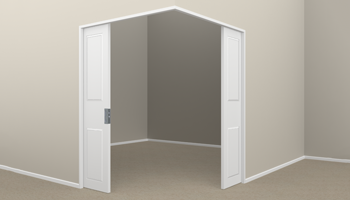 We can provide a system to suit nearly any size or weight door you need. You tell us the size and we'll make sure we manufacture a system strong enough to do the job. Not sure what you want? Talk to one of our friendly staff. Browse our full range of products, including cavity sliders, doors, handles and more. Be inspired by our gallery. 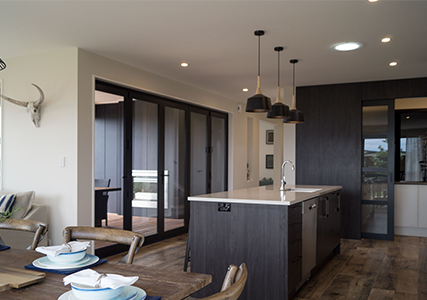 See how you can customise a door solution to suit your requirements.